Kah-Nee-Ta Resort will permanently close on Sept. 5, laying off 146 staffers. Kah-Nee-Ta Resort, which opened to the public 46 years ago, will permanently close Sept. 5, laying off 146 staffers. The Confederated Tribes of Warm Springs, which owns and operates the resort, have not publicly commented on the closure, but under the federal Worker Adjustment and Retraining Act of 1988, employers with 100 or more employees are required to provide 60-day notice of closure. On Friday, July 6, the interim general manager for Kah-Nee-Ta Resort and Spa, Marie Kay Williams, filed a WARN notice with the state and notified the 146 resort employees that the resort is permanently closing on Sept. 5. "This is a 60-day notice that Kah-Nee-Ta Resort & Spa will close all outlets on September 5, 2018. All of your hard work and dedication have not gone unnoticed," Williams wrote. "We appreciate your efforts in providing our guests a relaxing vacation for the remainder of the 2018 season." "AVNW continues to search for a pathway to financing," she said, referring to the private investment company that had been working to secure funding to take over management of the resort. "However, with no lease in place the resort cannot continue operating below a self-sustaining level. This is necessary to ensure we protect any further risk to the Confederated Tribes of Warm Springs." At the request of Tribal Council, Williams said that she would continue to explore options to enable the resort to be self-sustaining. "We hope you all understand the current condition and your continued support is critical during the next few months." Jim Manion, chairman of the Kah-Nee-Ta Board of Directors, said Tuesday that Tribal Council and the board have been exploring options to keep the resort operational. "The board informed the Tribal Council in late 2017 that we would seek to find an outside operator that could assume operation with the ability to make necessary improvements to the property," he said. "That process has been underway now for several months, however the new operator hasn't been able to get all things completed to take over." The purpose of the July 6 notice was to inform employees that the entire resort property, including Kah-Nee-Ta Village and the golf course, will close if the new operator isn't able to complete requirements to take possession by early August. "There are several moving parts to this process and the tribal leadership will be accessing how we approach the next phase of issues as we look at the unfortunate issue of closure, if that turns out to be the result," said Manion. "The hope is the new operator will complete necessary requirement to assume possession by September." The tribes broke ground on the $5.1 million Kah-Nee-Ta Lodge on Jan. 11, 1971. The lodge, which was designed to complement its surroundings, was completed in late May 1972. 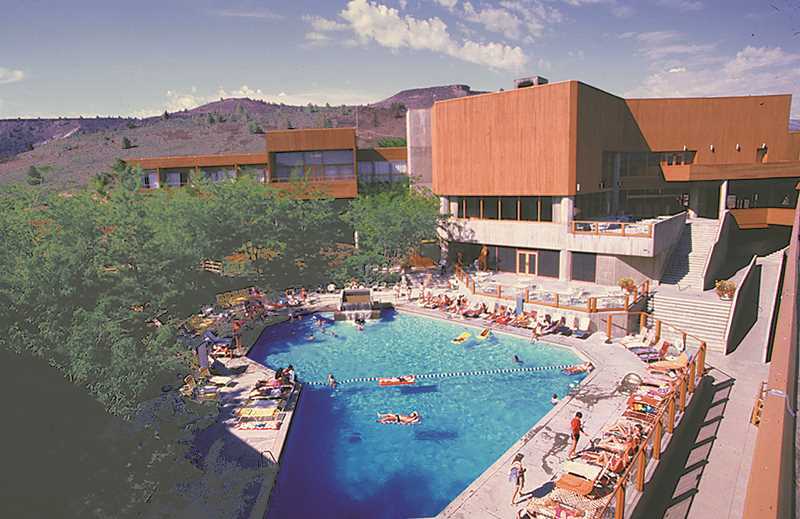 Kah-Nee-Ta Village, with its large pool, was built and opened in May 1964, when an estimated 3,500 people attended the opening ceremonies for the $750,000 development. Manion's father, Ed Manion, was the resort's first manager. Last summer, the lodge was fully booked by a group from Japan, for the Aug. 21 total solar eclipse . Two years ago, on July 13, 2016, the tribes broke ground on its Unmanned Aerial Systems Training Center at the lodge. The project was set in motion in 2014, when the Federal Aviation Administration approved a half-dozen test sites across the country for unmanned aerial vehicles, including the Pan-Pacific Test Site, which encompasses Oregon, Alaska and Hawaii. In Oregon, the Pan-Pacific Test Site included three test sites: the Warm Springs Reservation — the only reservation approved in the country, as well as Pendleton and Tillamook.